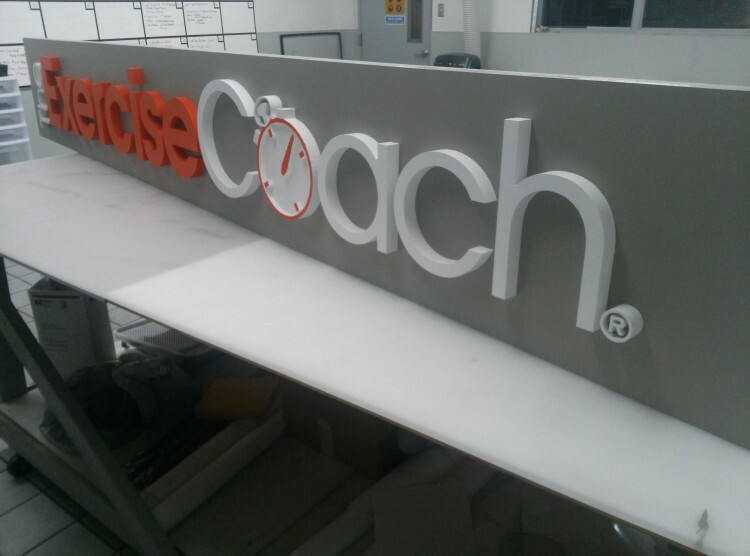 Multi layer 3D CNC routed HDU sign for The Exercise Coach. We created this HDU sign using a 1 1/2″ thick backer panel and added the 1″ thick HDU letters to the face. We also included a custom mounting bracket preinstalled on the back of the sign to make installation a breeze.